Apollo 11 moonwalker Buzz Aldrin expressed his regrets "for what almost was" and tweeted: "Never lose hope—Your hard work, team work, and innovation is inspiring to all!" "What makes it hard is the conditions—the geological and atmospheric conditions are different on the moon and the planets than they are on Earth," McCurdy said. 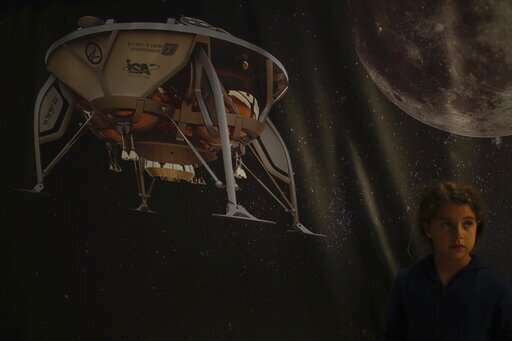 "It makes it really hard to test" the spacecraft's landing back on Earth. 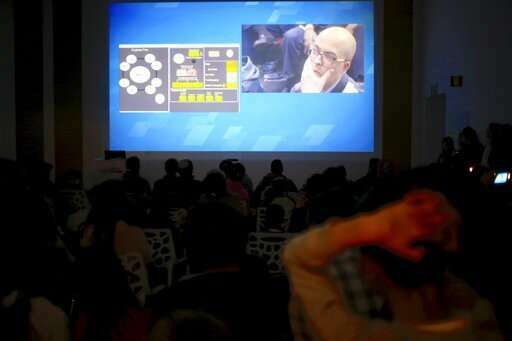 "President Reuven Rivlin hosted dozens of youngsters at his official residence, one of several celebrations scheduled across the country. The children, some wearing white and blue spacesuits, appeared confused as the crash unfolded." Probably forgot to set their atomic clocks to the correct general relativity moon time-zone. Well, I am sure that the event made an impact on the kids watching...as well as the moon. So far they are running about equal to the International Learning Curve of Spacecraft Navigation and Landings. Russia hard landed a couple landers, as the US has also. Things do not always go smoothly with Space Exploration. I vividly remember them rolling the TVs into class for us to watch the first Moon Landing, and that made a major impact on me. Watching the Space Race and the Apollo Program, heart-wrenchingly watching Apollo 13 do it's quick loop and return, not at all sure they survived until they were reported to be so from the USS Iwo Jima. In all, a learning experience, but that is what exploration and science are about: one does not find new things without making some mistakes and losing equipment along the way. I do look forward to seeing exactly what went wrong. Learning often comes from failures of equipment with the How and Why being very important in the outcome. I remember the confused looks on the kids' faces who were on set when New Horizons's in absentia moment of closest approach to Pluto was announced with such fanfare. Three, two, one!... What? What just happened? 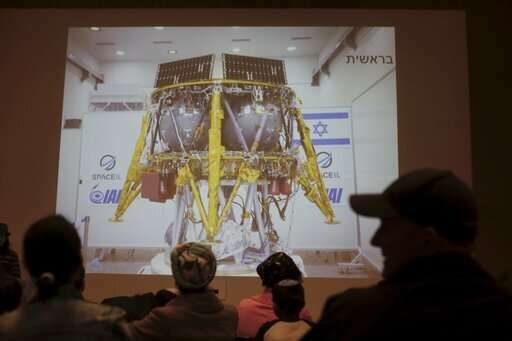 "An Israeli spacecraft crashed into the moon just moments before touchdown..."
Success is a journey, not a destination. Israel succeeded in the making an attempt. I recall the story of invention of light bulb by Edison. Oy, not that vey, lol. But a great attempt and achievement, nonetheless.